So you know all about my love of Baked Banana Ricotta, but even though that's my hands down all time favourite - why not make another flavour?! I've been experimenting with flavours for my baked ricotta cups and came up with this delicious Apple Cinnamon version! Best of all? It's so simple to make! It's a healthy, single serve version of a crustless ricotta cheesecake. I was inspired to make this Apple Cinnamon version after making baked apples stuffed with ricotta. This baked ricotta cup version is much simpler and easily freezable for a quick dessert. The recipe can be tailored to suit your tastes. I don't like things sweet so I don't use any sweetener, however my family do and 1-2 tbsp of maple syrup was all it needed to please them! Feel free to add added chopped apple (I did this in my second batch and it was so much better), extra spices or some other mix ins. 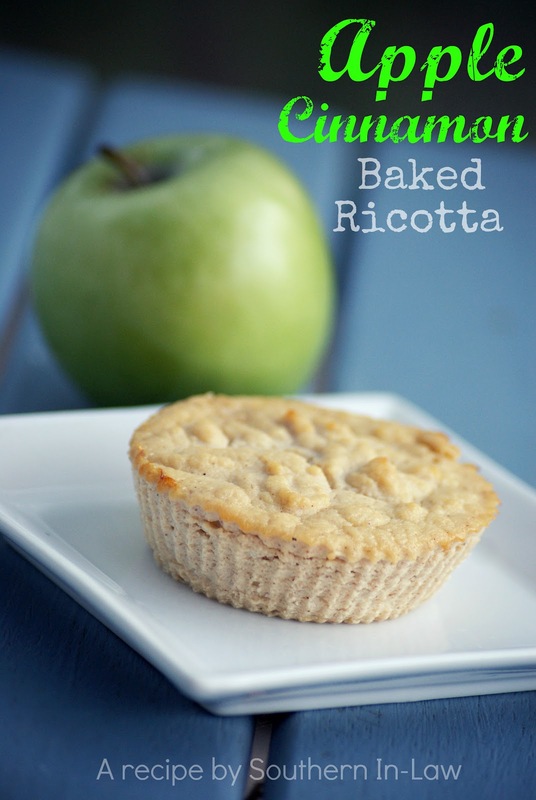 Raisins are a great addition to the Apple Cinnamon Ricotta cups and I bet nuts would work really well also - don't be afraid to play around with different combinations! In a bowl mix the egg and add in the ricotta, applesauce, cinnamon and maple syrup (if using). Add in any other mix ins if using and pour mixture into three greased ramekins or large silicone muffin tins. Bake for around an hour or until set and the tops start to brown. Leave to cool slightly and serve warm or chill in the fridge. If freezing: wrap ricotta cups individually and then store together in a zip lock bag. 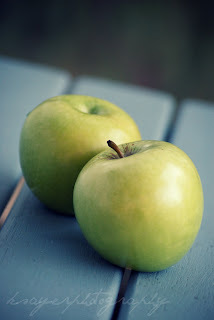 So tell me - what's your favourite type of apple? Oh yum!! 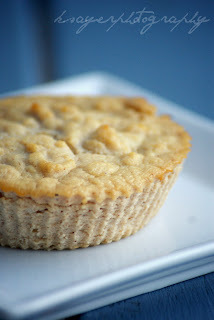 I'm so glad I just found this...I definitely need to make some of these before I finish up the last of my ricotta! These are definitely yum! My favourite is the banana version, but this version is good too - especially with maple syrup added!